Thanks to iFly Singapore's invitation, we were given the chance to try out their indoor flying experience located at Sentosa Island. 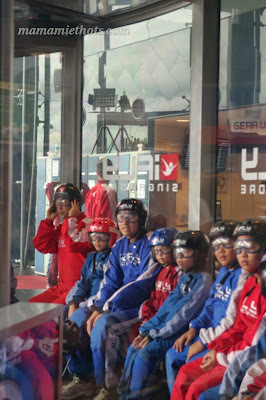 Flying at iFLy can be done at any time and any day (of course during their opening hours), no need to worry about not being able to fly due to bad weather. Everything is conducted indoor and there's no need to fear about kenna strike by thunders or lightnings. 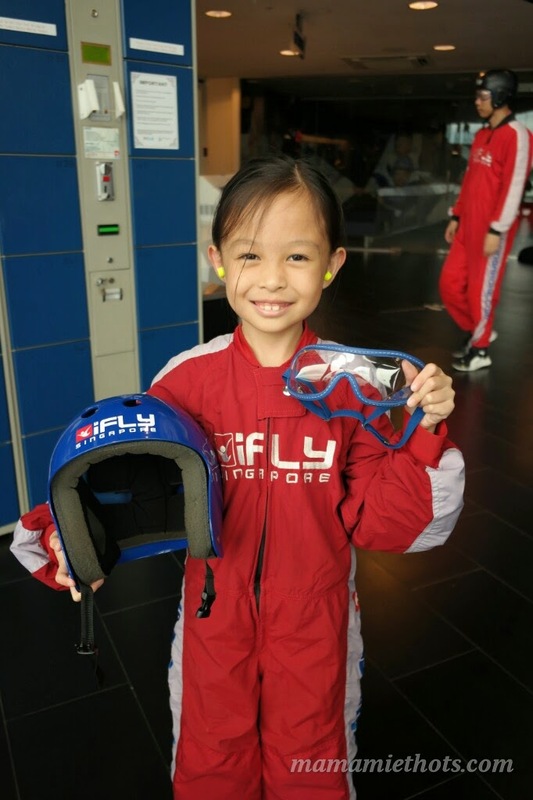 iFly Singapore has a group of qualified instructors that will guide you during the one hour lesson. I sat in with the rest of the participants during the lesson and did not "eat snake" okay! 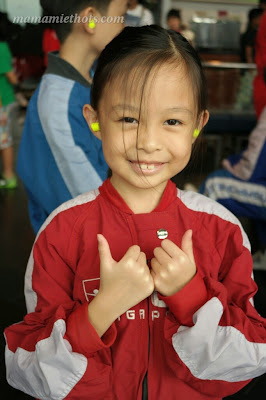 I tried to remember as much info as possible while the instructor was teaching them all about the safety precautions and what to do during the flight. There are certain flight criterias to take note, some people are not recommended to take the flight especially people who has dislocated shoulder before, history of back/neck injury, and has heart problem. 5. 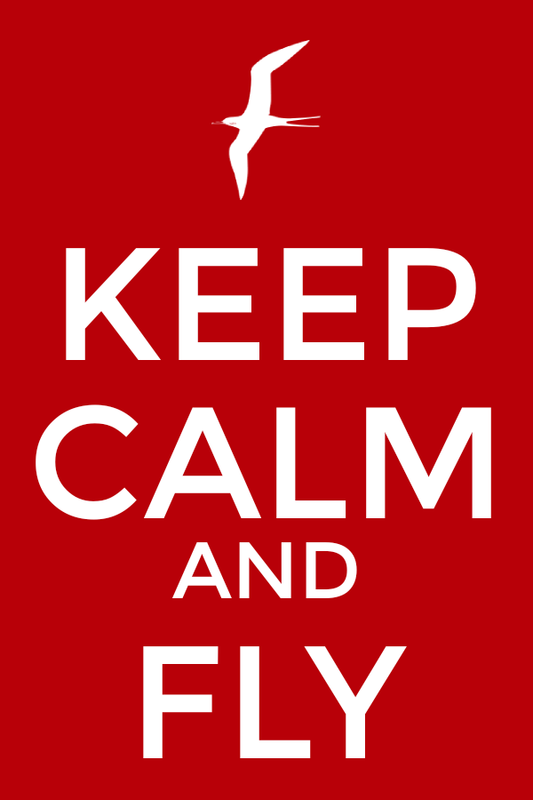 Smile, relax & enjoy the flight. My Superman, Superboy and Supergirl were fully dressed up from head to toe. 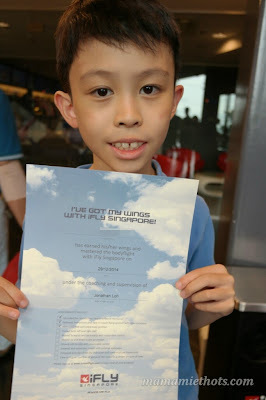 After the flying session, every participant received a certificate. YQ showed her graceful move while flying. 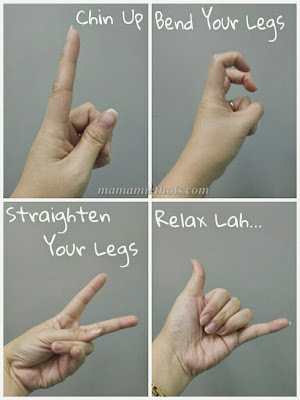 From their experiences, I was told by them that locking the knee part is very important during the flight and try to close your mouth because saliva will flow out and dirty all over your face, haha! 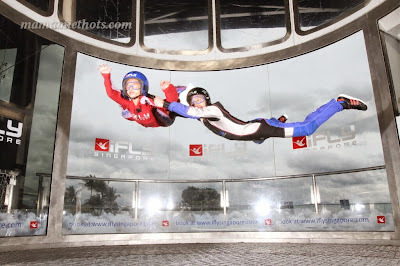 Next time, I will come back and conquer iFly Singapore...just wait for me okay! * All personal details provided in this contest will be kept confidential. Only details of the winners will be shared with iFly to facilitate the redeeming of prize. Disclaimer: We received complimentary flying experience at iFly Singapore for 2 pax for review purpose. We paid for the 3rd pax and 1 extra flying flight by ourselves because it was so fun. No monetary was compensated and all opinions are our own. 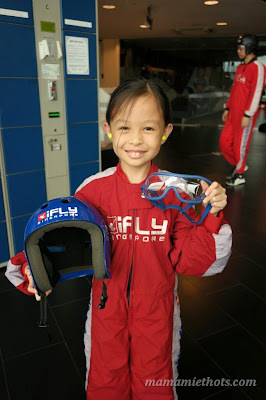 I wish to win the prize to visit iFly Singapore for an indoor skydiving experience because I would like to experience the exciting thrill and dynamic of flying together with my 8 years old daughter. It will be a such once a lifetime experience! Thank you for hosting ! Xav has been eagerly waiting for him to reach the minimum requirement to experience this indoor flying experience ! Skydiving is one of the items on my bucket list! I want my child to have a taste of 'flying'. I wish to fly freely and happily. 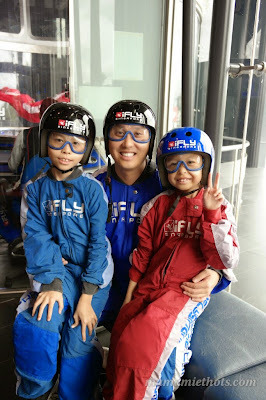 Hope to win so can let my children who have been looking forward to experience iFLY since long ago. i want to see if my over 80kg hubby can fly like a superhero! wahaha! Would love the experience the feeling of flying care-freely without worries together with my hubby for a once a lifetime experience! 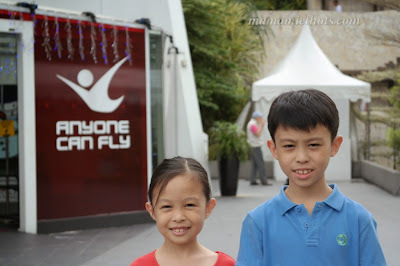 Hope to win to bring my children for the flying experience! 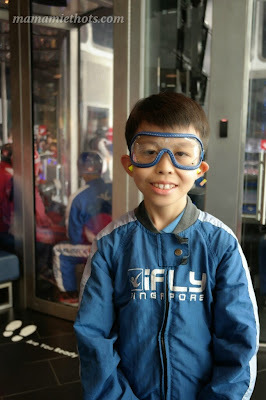 i wish to win the prize to visit iFly Singapore for an indoor skydiving experience because i would love to know what's the feeling of flying in the air!! that would be so fun and cool! would love to bring my friends along!! I want to know how superman feel when he fly around in the sky. 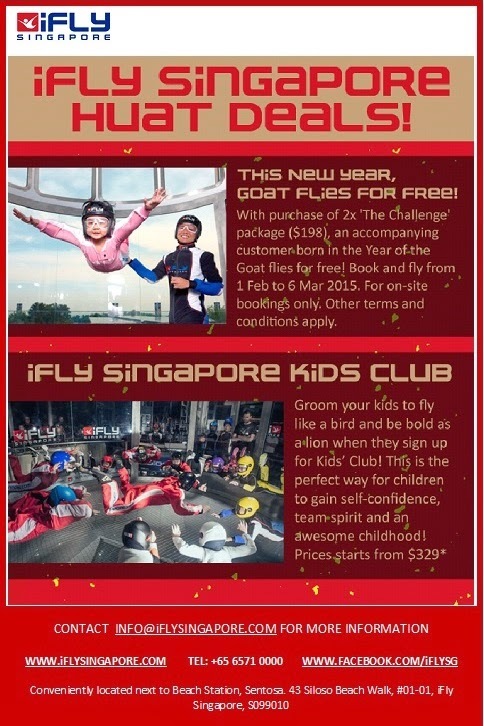 Why you wish to win the prize to visit iFly Singapore for an indoor skydiving experience? Ans. 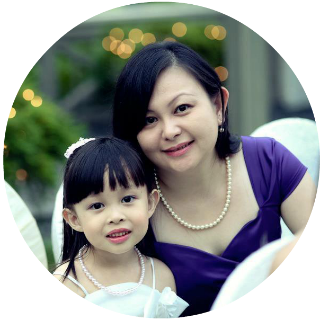 I am a stay at home mom of 4 boys who is craving for an adventure but hardly gets times since I am always busy with my cooking, baking and household chores. 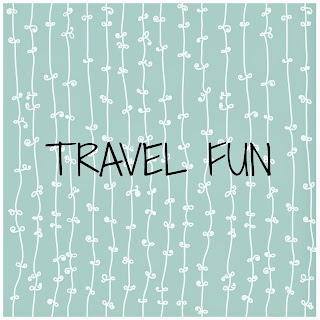 I really deserve an adventurous break and winning a pair of tickets to iFly Singapore would be just so great. I am so looking forward to the experience of flying without wings along with my husband. It's going to be a life time experience and I have my fingers crossed. I skydive before and it's damn fun. I want to introduce skydiving to my niece and nephew so if i win, i can bring them skydiving. I wanted to give my boyfriend a surprise for valentines as he had always wanted to try this flying experience for a long time. I am sure he will enjoy this unique and fun flying experience.